Baguio name as the "Summer Capital of the Philippines" is one of the cleanest and greenest cities in the country. Baguio is one of the most visited tourist destination in Asia. Situated in the mountains of the Cordillera Region, 1,500 m above the sea, 250 km north of Manila, Baguio is the place where you will enjoy the cool climate all year round. Baguio is made for sightseeing because of the attractive and lovely scenic views and a number of magnificent tourist attractions. Baguio is a perfect place to unwind yourself and is a perfect mountain retreat. Baguio is rich in natural resources especially gold and silver. That is why Baguio is one of the gold-mining region of the Philippines. Beautiful and exotic handicrafts are also produce here. Baguio is one of the popular golf destination in the Philippines. The city is proud in its Baguio Country Club and Camp John Hay. 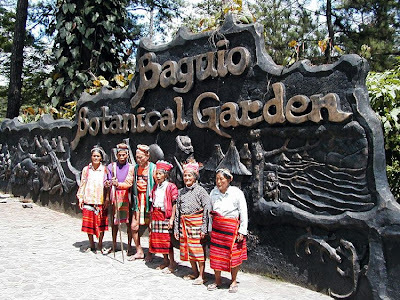 Baguio is also known to the world because of its world class resort and is also the biggest pine tree conservation area. Baguio Cathedral: One of the city's religious landmarks that is often visited by tourist and locals. The twin-spire structure is so unique and superb. The cathedral is set up on a hill that offers a magnificent view of the whole place. Baguio Country Club: The club has tennis court and superb 18-hole golf course for it's members and guest. Botanical Garden: Features native huts typical of Cordilleras architecture. This village within a village captures the ethnic spirit and cultural legacy of the Igorot dweller. Burnham Park: Prime tourist attraction in Baguio which is located in the heart of the city. Burnham Park is the traditional venue of the city's numerous festivities. The park has many features. The man-made lagoon is ideal for boat riders, a skating rink, an athletic field and stadium, basketball and tennis courts, a biking zone, tree-and-flower lined promenades, and a plant market. Camp John Hay: It is called Club John Hay today, is formerly the recreational center of US personnel in the Philippines. The Camp offers the best recreational facilities in Baguio. It includes an 18-hole golf course, six tennis courts, basketball and volleyball courts, a six-lane bowling centre, a heated swimming pool and seven food outlets. It also has beautiful designed cottages and is a great place for relaxing and unwinding. Lourdes Grotto: One of the city's religious landmarks that the shrine houses the image of the Lady of Lourdes. You will to climb up the 252 steps to reach the Grotto. Upon reaching the top, you will experience and see the wonderful scenic view of the city. Mines View Park: You can see and enjoy the striking view of of Benguet's gold and copper mines and the surrounding mountains in which is the main attraction of the park. Mummies of Kabayan: Fascinating archeological treasures and discoveries in the town 82 km northeast of Baguio where three well preserved mummies are estimated 500 years old. The bodies of these our ancestors are placed in a capsule-shaped coffins and buried in caves in high cliffs. 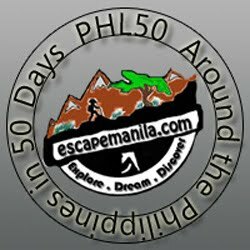 Philippine Military Academy: The school for officer of the Armed Forces of the Philippines in which is located in the surroundings of lush pine forests. A Military Museum is found in the Academy. The Mansion: The majestic mansion never fail to enchant the tourist when visiting Baguio. Because of its appealing landscaped gardensn rectangular pool and even the gate are patterned after that London's Buckingham Palace. The Mansion is the official summer residence of the President of the Philippines. You can also go to this wonderful and lovely places in which are also Baguio's tourist attraction: Aguinaldo Museum, Asin Hot Spring, Asin-an Sulfur Springs, Bell Church, Bridal Veil Falls, Bued River Gorge, Ifugao Woodcarvers Village, Wright Park and Kennon Road.